Always a courteous and efficient service provided with flexibility to meet the needs of operational manufacturing sites. Validate have provided an extremely professional and competent occupational hygiene support to all of our sites across the UK. They were willing to learn and sample to our own Company Standards and this strengthened our working relationship. 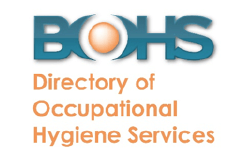 I would recommend their occupational hygiene services to others. Validate – A first-class organization, efficient, trustworthy, competitive, and reliable. I have used them on many occasions and have always been completely satisfied with the job they have done. 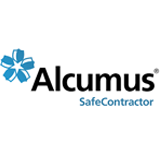 INDEPENDENT CONSULTANT, FORMER GROUP H & S ADVISOR ALTRO GROUP LTD.
We have been working with Validate Consulting Ltd since 2011 and have found that they provide a professional service, 1st class reports, and ongoing support and advice. I have now worked closely with Validate consultancy for a number of years and find their service invaluable. The company have a wide range of knowledge in their field and use this experience to come up with a range of varied solutions to issues on site. The company works in a very professional manner and is a pleasure to work with. I would recommend their services. I’ve been using Validate Consulting for air and noise sampling for a number of years now, and during this time they have always provided my organisation with clear concise information and advice on all sampling they have undertaken on my behalf, Validate Consulting have always been quick to react to our needs and I would say their service has always been second to none, this feeling is reinforced further as we are a global organisation and now use them across our other manufacturing facilities. Validate have always provided a 1st class service, that has been professional and reliable. On discussing our requirements with Validate Consulting the efficiency with which they organised their time and obtained the results was exceptional. The consultant was friendly and knowledgeable and explained the findings in a manner that was clear and understandable to all concerned. 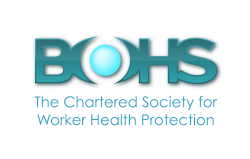 I would have no hesitation in recommending them to anybody who requires an Occupational Hygiene service and will be using them again in the future. Validate Consulting have carried out our LEV testing for the past two years. The service has been exceptional, with all work being carried out in a timely manner with minimal disruption to our very busy production lines. Validate have always been professional, understanding and helpful, they have provided solutions to improve our working environment for many of our employees. 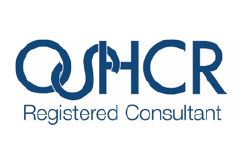 They have helped us with updates in legislation and specifically with onsite assessments in COSHH, Noise and LEV testing. No question is too much trouble, we look forward to an ongoing relationship and I would definitely recommend their services.